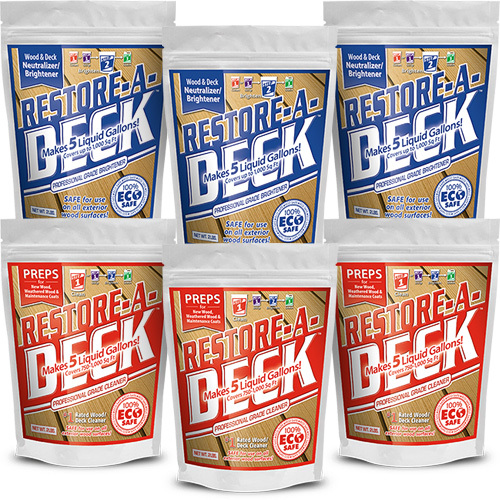 Our most economical package, this kit provides enough product to clean and then brighten multiple level decks with rails steps and decorative features like trellises, benches and planter boxes up to 1800 square feet. 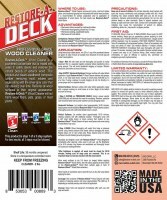 For a fence this package will clean and then brighten both sides of 160 feet of fence. 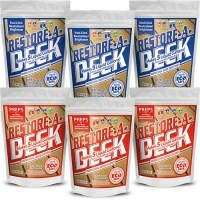 You will receive 3 containers of Step 1 Wood Cleaner and 3 containers of Step 2 Wood Brightener. A certified wood contractor would charge about $500 to perform this service for you. Similar products like Cabot's Problem Solver stripper and brightener would cost $300. Does this work as well as the Gemini product? It is safe for pets once dry. 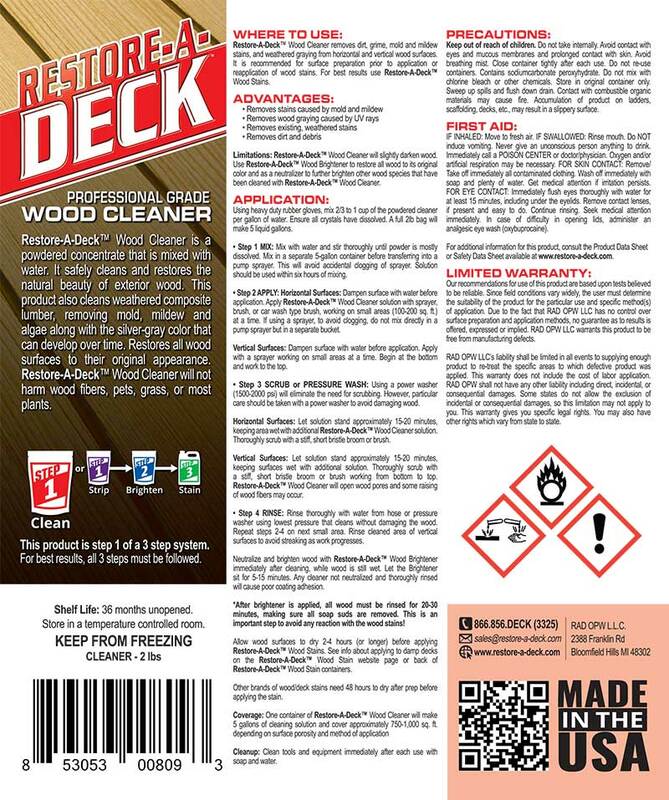 The Restore a deck products are environmentally safe cleaning solutions. How safe is this to use around animals? I see that you can't use it over grass, so I'm assuming it is questionable? It may clean your siding but it does not harm it. 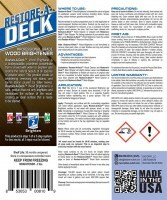 Is this product safe with vinyl siding? You apply the products with a pump sprayer and pressure wash off. Instructions are on the containers. 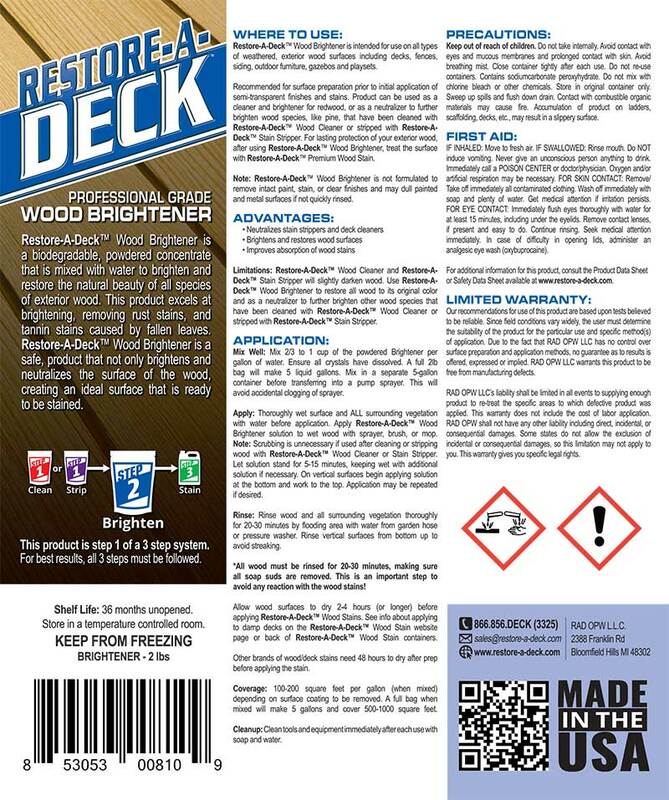 Hi, I need to know how this product works on new cedar and how to apply it? Such as paint brush, if so what kind? and then what do I need to remove it? How do I put the brightener on the wood? Do I need to remove it? I do not have a pressure washer. Thanks. With the AC, you will need to wait about months after install. When should I clean, brighten and stain my gazebo. I will not have it installed before mid-september and would like to have it done before the cold weather which will probably start beginning of October. Our Canadian winters are very cold with a lot of snow and freezing rain. Thanks for your help.